Sunday May 21st and August 6th 'Money Mad'- Some Victorian Magnates of Lynn. Led by Dr Julian Litten who will tell you about the men who made their fortune in Victorian King’s Lynn. Sunday June 11th and October 1st Eminent Victorians of Lynn. Led by Dr Paul Richards who will introduce you to some of the eminent citizens of Lynn and tell you their stories giving you an insight into the Victorian Town . A taster for our new publication about Victorian Mayors. Saturday July 15th 'Doctor, Doctor' The medical men did their best to keep the population of Victorian Lynn fit and healthy. Join Steph Hall to hear about them – we have some medical pioneers to introduce. This is our annual Open Day and refreshments will also be available from 10a.m to 4.00p.m. Sunday Sept 10th 'Doctor, Doctor' The medical men did their best to keep the population of Victorian Lynn fit and healthy. Join Steph Hall to hear about them – we have some medical pioneers to introduce. This is the Heritage Open Day and refreshements will also be available from 10 am to 4.00p.m. All walks start at 2.00p.m from the Cross of Sacrifice within the Northern part of the Cemetery. 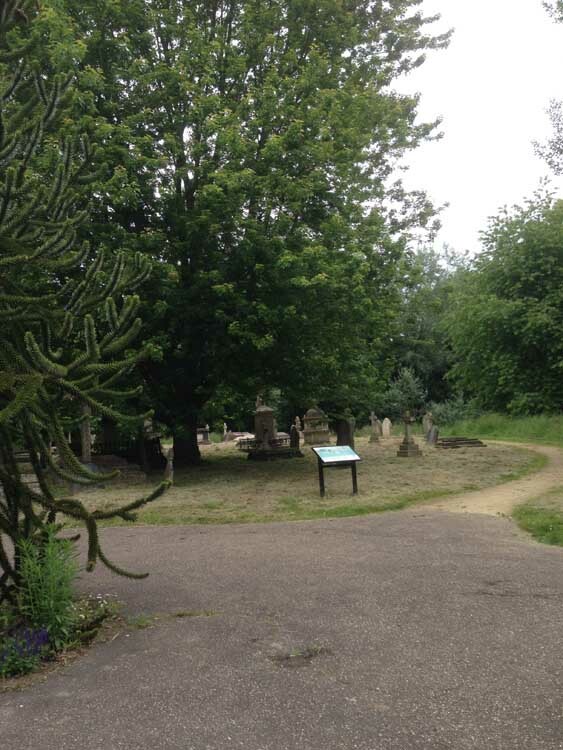 A donation of £5 per person is requested towards the work of the Friends of Hardwick Road Cemetery. Members will also be in the cemetery carrying out various tasks on the following dates June 3 & 4; Sept 2 & 3; Oct 7 & 8 you are most welcome to come along and join us or seek our help in locating that elusive grave. We have been to King's Lynn today to visit graves. 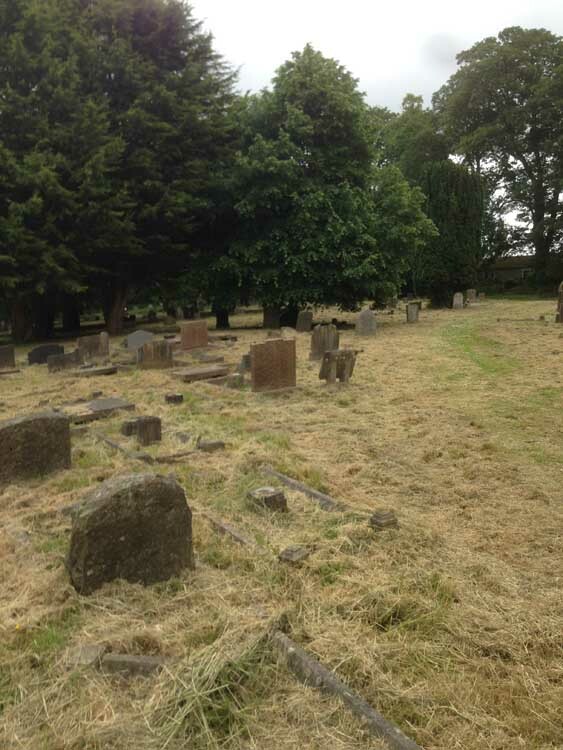 Last year I paid a lot of money to have 3 graves in Hardwick restored today we had a hard job to get near them. My Dad's was surrounded by thistles over 3 feet tall & Nanna & Grandad's had stinging nettles all round them nearly twice as high. Gaywood & North Runcton were like lawns. I am sorry that you found the cemetery in such a state, or at least the Northern part of the cemetery- the southern part seems to be cut much more regularly. 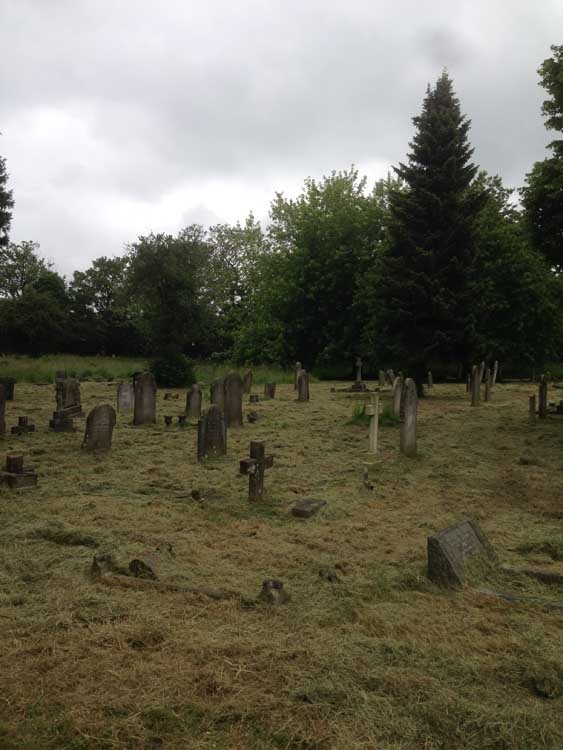 The cutting of the grass in the cemetery is the responsibility of the Borough Council (email cleanup@west-norfolk.gov.uk) and they have been totally remiss in not cutting at all this season. Although they had 3 men with strimmers in the cemetery on Saturday morning cutting the section with the boat memorial. The Friends of Hardwick Cemetery also had two volunteers with strimmers working in the cemetery on Sunday and they also cut the grass around the Cross of Sacrifice, the two areas bordering the entrance drive and the area that was cut where the Anglicaan Chapel once stood. The whole of the cemetery will probably need to be cut with strimmers before a mowing machine can be brought in unless we end up with many damaged memorials. I would add that the Friends have not asked the Council for this type of maintenance for 'Conservation' purposes although we have aranged that the borders of the cemetery be left uncut until the autumn each year. We have pointed out numerous times that this neglect is disrepectful and a potential health and safety hazard for visitors who could easily twist an ankle or worse on one the hidden memorial kerb sets. The Friends spent almost £90,000 of Heritage Lottery Funding conserving memorials a couple of years ago and I personally feel that the Council are working against us rather than with us. The Council have suggested to the Friends that the Cemetery be entered in an 'In Bloom' competition to be judged in July so we are hoping for a rapid improvement in maintenance. 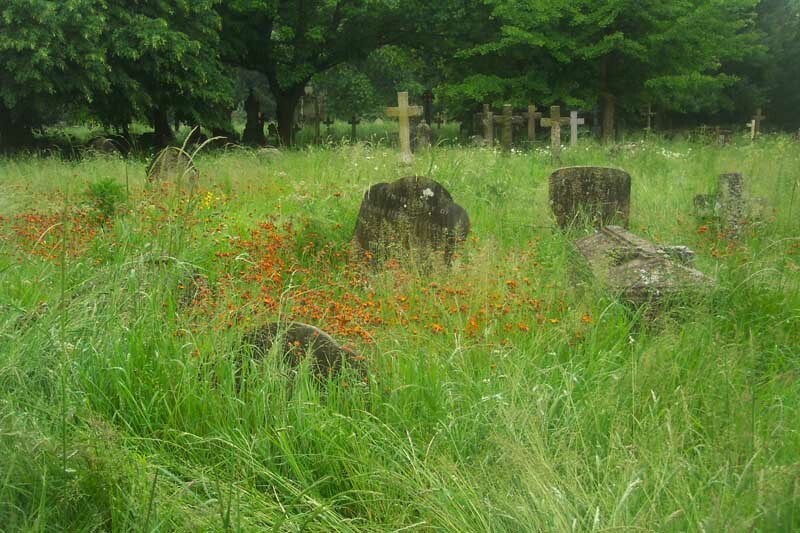 I know it will be of little comfort for those who do maintain and visit graves in the cemetery but there is a profusion of ox-eye daisy and orange 'fox and cubs' flowering at the moment. I have attached a couple of pictures taken on Saturday morning to illustrate the appearance of the cemetery at the moment. Contacted by the email you sent and just had a reply saying there are 3 operatives strimming & cutting on both side of the cemetery and all areas should be maintained by the end of the week. I can confirm that 2 men were in the Northern side this morning and some strimming had been done. Also received a separate email about an hour ago that Council were cutting grass. Think the wild flowers will be getting the chop as well which is a shame. Really should not get into that state though. Will check back later in the week and let you know what has happened. Trouble is I suspect there will be long grass left lying everywhere, including over the memorials, and this will impede later machine cutting. The shorter grass in the second picture I posted earlier is the area cut by the Friends during their working session at the beginning of May and this regularity of cutting would I believe be acceptable to most people. Cemetery Friends will be having their annual Open Day on 14 July and cemetery is definitely going to be entered into the 'In Bloom' competition in its own right again judging takes place in July. What happens after then is anybody's guess. 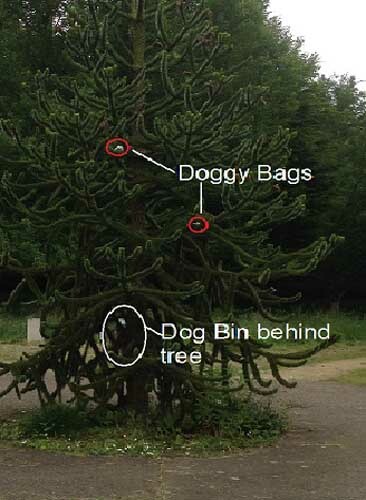 So I will need to be armed with a rake and plenty of large black bags and rubber gloves on next visit. Have sent you a PM Desira but thought I'd post this picture just to let all Forums members know the type of %*"$ we have in King's Lynn. Visited Hardwick again on Sunday armed with bin bags etc but was surprised to find they were not needed. My 3 graves where not covered in grass and only needed washing down. I have thanked them for doing a good job and Chris is going to pass that on to the operatives. Lets hope they don't let it get in that state again. Does anybody know if there is a map of the cemetery with all of the sections? Where can I find/download it? They do have a plan of the cemetery showing the section locations that they will email to you. Plans showing individual graves are a little more problematical but the Friends would be willing to locate graves for you and even meet in the cemetery and take you to the graves in return for a donation. 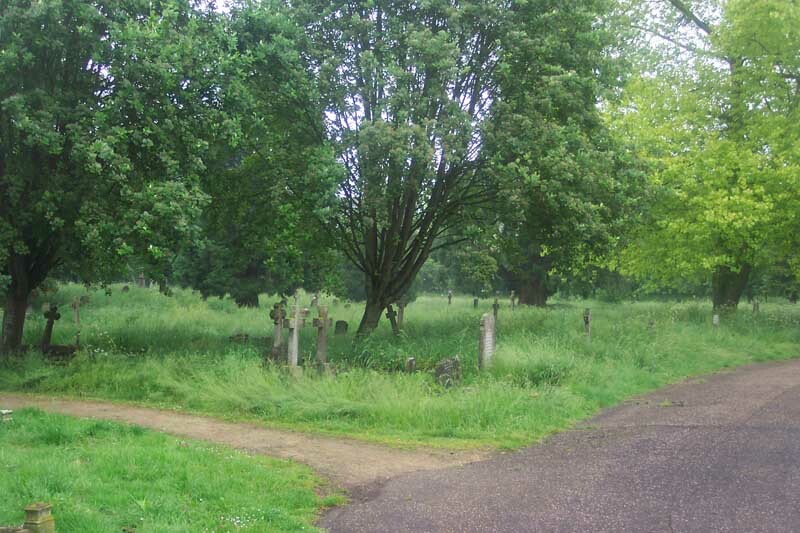 You could also search this forum for posts relating to Hardwick Road Cemetery and there may be a previously posted map. There is a site map at the entrance to the cemetery showing the location of the various sections. Thank you very much for your answer. A few minutes ago I found the map I needed on this forum, posted in 2012. Colin H also will supply a CD showing all the graves and sections dates ect. Great addition to anyone looking for local relatives in Hardwick. Do not know for sure if he still raises funds for the cemetary that way though. Thanks for the plug EWW. I've now given up my role as Treasurer of the Friends and would direct people to the Friends website where the Secretary will pick up any messages and respond accordingly. The disc is still available to order online and can also be purchased at the upcoming Open Day on 14 July. The CD could be very suitable. I'll consider ordering one. But something else first: can anybody tell me how many graves there are in section C and in what state most of the graves are in this section?